Glaucoma is the second leading cause of blindness in the United States, with an estimated 2.5 million Americans being affected by the disease. In most cases, the intraocular pressure inside the high is too high causing damage to the optic nerve- the structure that transmits visual information from the eye to the brain. 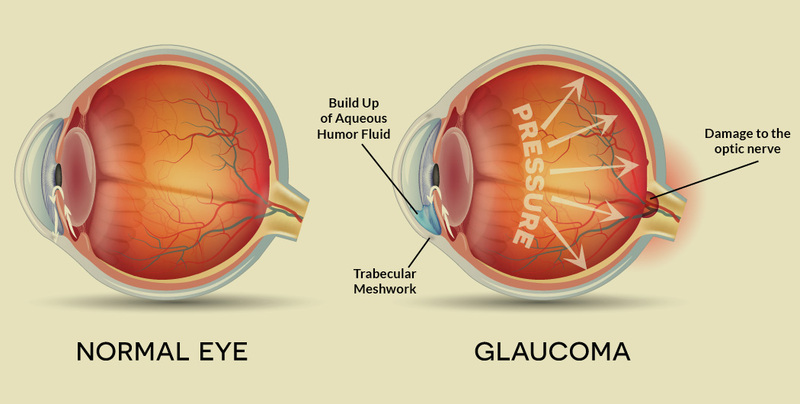 If not diagnosed in early stages, glaucoma can lead to partial or complete vision loss. Dr. David and Dr. Hejny are Ocular Glaucoma Specialists with the latest imaging technology, including OCT retina imaging and Visual Field testing to diagnose glaucoma in very early stages before vision change or loss begins. If treated early, vision loss from glaucoma can be prevented. Glaucoma can occur in people of all ages, even children! The best way to protect yourself and your family from the onset of glaucoma is to have a comprehensive eye exam every year. Prevention is the best defense!